Chariton Charitonidis was born in Athens in 1976. He holds a BSc in Physical Education and Sport Science majoring in Greek Traditional Dance and a Master’s degree in Folklore-Anthropology of Dance (University of Athens). His dancing experience starts in 1984 in various amateur dance ensembles. From 1996 till 2017 he has been a dancer in the Hellenic Centre for Folklore Studies (Centre Hellenique d’ Etude du Folklore C.H.E.F. / “ELKELAM”) participating in numerous performances within Greece and in more than 50 tours abroad. 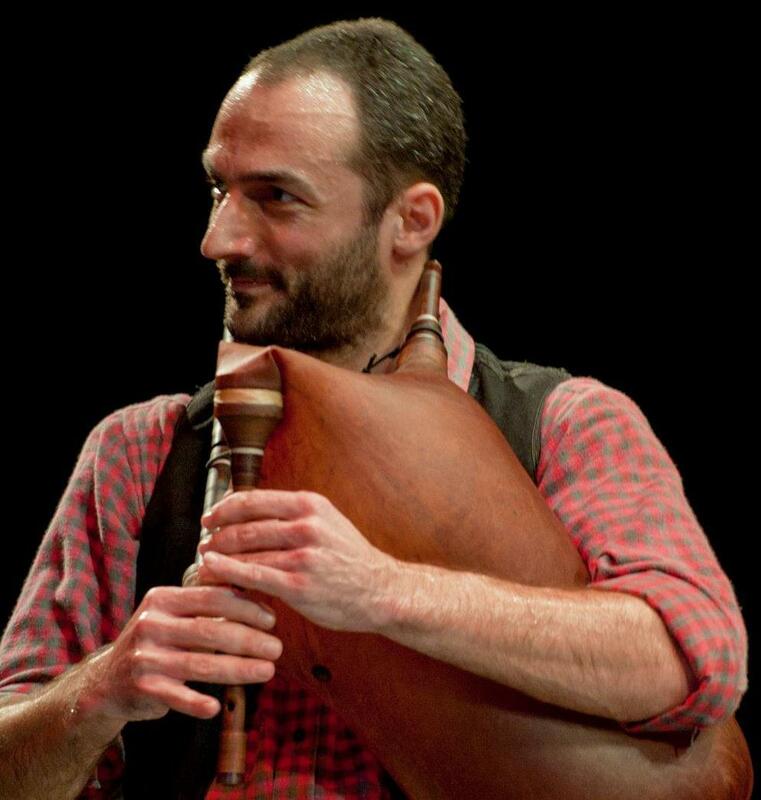 In parallel, he studies Greek traditional wind instruments focusing in the gaida (bagpipe). Since 1998, he participates as a musician in performances, concerts and recordings in Greece and abroad, collaborating with various orchestras and notable artists. He has been dance instructor in many dancing groups and cultural associations: Hellenic Centre for Folklore Studies, Lyceum Club of Greek Women (Department of Megara), Cretan Association of Glyfada, Municipal School for Greek Dance in Argyroupolis, etc. Pravo Band, playing Balkan Music in “dance-houses” and concerts, and accompanying the dancing group of the Bulgarian minority (Jantra). He is regularly teaching in dance seminars in Greece and abroad (Spain, France and Luxembourg). Since 2015 he is working as dance instructor in the Municipal Department of Traditional Dance in Hellinikon-Argyroupolis. Furthermore, he is an active member of the Study Group on Ethnochoreology, within the International Council for Traditional Music (ICTM), carrying out presentations, scientific articles and research projects regarding dance. He participates in Katerina Papadopoulou’s new project “The travels of Anastatica” as a dancer and musician.